How is the White House controlling the message on Flynn? Two of the top Democrats in the House of Representatives were fooled by a fraudulent Twitter account on Tuesday. The New York Times fell for it too. At a lunchtime press conference to castigate the Trump administration, Reps. Nancy Pelosi and Elijah Cummings both cited former National Security Adviser Mike Flynn's comment about being the "scapegoat." The problem was that Flynn hasn't actually called himself a "scapegoat." The quote came from a Twitter account, @GenMikeFlynn, that has been made to look like the actual Flynn, but is not him. The fake Flynn has been imitating him since February 1. After the real Flynn resigned on Monday night, the anonymously-run account leapt into action, tweeting out the actual resignation letter and then saying things like "I feel it is unfair that I have been made the sole scapegoat for what happened." That's one of the quotes that The Times picked up on. The paper later blamed an "editing error" for the inclusion of three fake tweets in The Times' main story about Flynn. 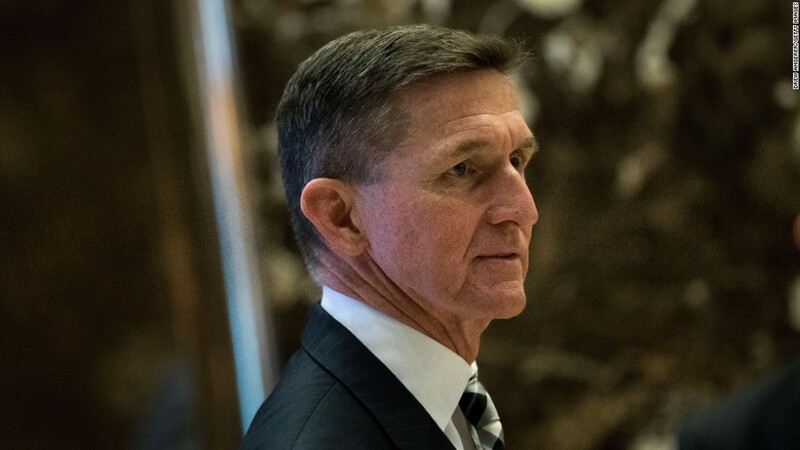 Cummings was the first person to bring it up at the press conference, saying "just this morning, Flynn tweeted that he is a 'scapegoat.'" Cummings and other members of Congress called for public hearings and detailed answers from President Trump and the administration. Pelosi also cited the made-up "scapegoat" claim, saying that she heard it from her colleagues. Then she talked about the definition of a "scapegoat" in some detail. Ema O'Connor, a BuzzFeed reporter who was at the press conference, said she heard an aide tell Pelosi the tweet was fake afterward. O'Connor said Pelosi responded, "What do you mean it's fake?" In response to questions from CNN, a Pelosi spokesman said Pelosi heard about the tweet from Cummings. "I believe Cummings had seen it in a New York Times story which has since been corrected," the spokesman said. Cummings is the ranking member on the House's oversight and government reform committee. After the press conference, the real-life @OversightDems Twitter account acknowledged the fake tweet. "Yes, sorry, to correct the record -- just learned like many others that the Flynn tweet this morning was fake," the committee said. Pelosi and Cummings were mocked on social media for the error, especially by conservative web sites. There are multiple fake versions of Flynn accounts on Twitter and some of the tweets have been shared and reposted hundreds of times.